iTM can help you with your Visual Branding, Website Design & Development, Digital Marketing and Print Collateral. Other resources and potential clients for you come from our Relationship Marketing business contacts via Power Partners USA. 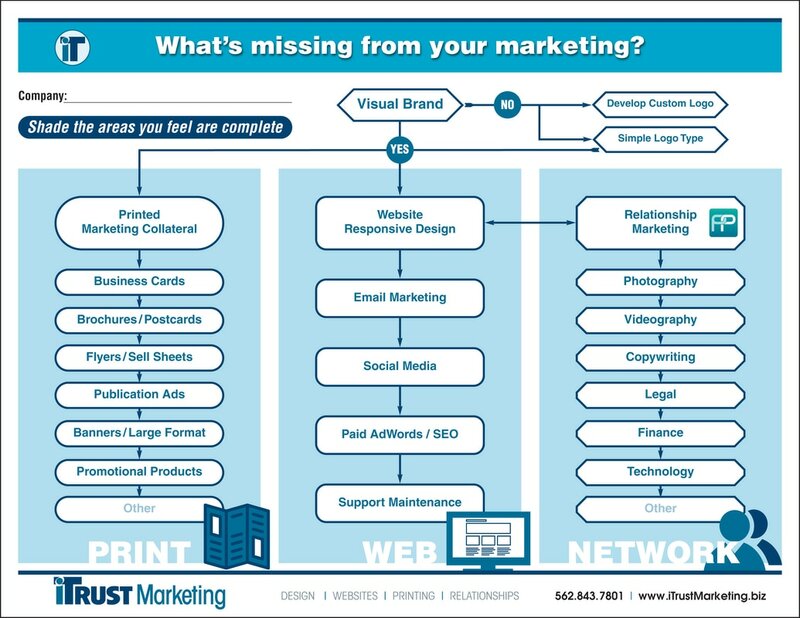 ​ "We Strive to Pay for Ourselves"
Download, Print and Use this chart to highlight the areas you feel your marketing is complete. Call us to help you fill any gaps. The website is the hub of your marketing platform and all other marketing tools should direct or link the viewer to your website. 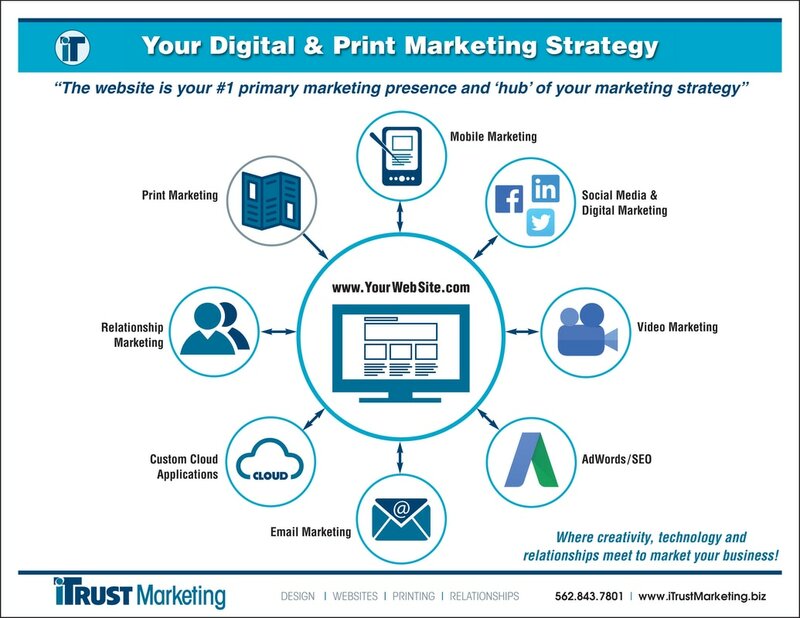 In turn, the website should direct or link the viewer to your other marketing tools.